The updated finishes exude quality throughout this second floor terra verde coach home residence including mud set neutral travertine stone flooring in the main living areas, coffered ceiling in living room and an extensively renovated kitchen. The open concept floor plan allows natural light to flow throughout and includes three bedrooms, three full baths and a spacious screened in tiled lanai overlooking the incredible long range lake, lush golf course views of the grey oaks palm course and amazing evening sunsets. The exquisite kitchen includes high end granite, soft close, solid wood custom cabinetry and stainless steel appliance package, all open to the living and family rooms and dining vestibule perfect for entertaining family and friends. Additional features include a private elevator, oversized attached two-car garage, newer a/c unit and dehumidifier with transferable warranty, new water heater, kevlar hurricane protection on the lanai, wood flooring in the bedrooms and built in walk-in closets. A world of luxury awaits you in the luxurious coach home community of terra verde with its own private lagoon style pool located within the private gated community of grey oaks. C. 16108 - this uniquely private first floor coach home with tranquil water views is located within the grey oaks neighborhood of traditions. Relax on your expansive lanai and immerse yourself in the lifestyle that is grey oaks. The build quality of this home is complimented with 12 baseboard, tray ceilings and crown molding throughout. The master bedroom, as well as the two guest bedrooms have been upgraded with hardwood flooring. The gourmet kitchen includes custom cabinetry, stainless steel appliances, granite countertops and natural gas. The air-conditioned garage provides additional temperature-controlled storage year-round. Grey oaks, with its three championship golf courses and best-in-class sport amenities has been ranked by travel and leisure as one of the top 100 golf communities in america. This home is offered with the ability to purchase a full golf membership from the club rather than being placed on the golf membership wait list. Whether youre looking for a year-round home or a winter retreatgrey oaks offers an experience second to none. This coach home has it all with three bedrooms (all en suite), a den and an open floor plan. The master includes a shower, a soaking tub, dual sinks and two separate closets. The decor includes marble floors in the main living area, wood floors in the den, 8 foot doorways, high ceilings, tall baseboard molding, crown molding and everything you would expect to find in a high-end condominium. The kitchen has beautiful brown stained cabinets with under cabinet lighting, granite countertops and stainless steel jenn-air appliances, including gas range, double ovens and a microwave. A nicely equipped wet bar with a stand alone ice maker is just off the great room. It also has an in-unit full-size washer and dryer and plenty of storage! To accommodate indoor/outdoor living that is so important in naples, it has two enclosed screened porches that are just a few steps to the community pool. C. 15618 exquisite long lake and golf course views. Very private and spacious - lives like a single family home with the convenience of a condominium. Full four bedroom, three full bath residence with a den or formal dining room. Eat-in kitchen with breakfast area and a walk-in pantry. Open to the dining room/den and great room. Private elevator, plantation shutters, volume ceilings and tile floors throughout. Owner's bedroom features great views of lake and landscaping, three closets, spacious bath with his and her vanity areas, soaking tub, walk-in shower and private water closet. Lovely landscaped entrance with purple bougainvillea and brick paver walkway. Two car garage with epoxy painted floor. At the end of a cul-de-sac, situated that you don't see your immediate neighbors from your screened lanai. Wellington place ii has brand new tile roofs with amenities close by, including a pool, hot tub, clubhouse with exercise room. Kensington country club offers golf, sports and social memberships, however, they are not mandatory. Breathtaking, panoramic views of large lake and hole #10. Eastern exposure from wraparound porch with a bird rookery to the southeast. One of wilderness best views! This is the coveted e model. Only 18 of these in wilderness. Features almost 3000 square feet under air, fireplace, 3 bedrooms, 2 1/2 baths, large rooms, lots of light! Kitchen has had some updating. Very large master bedroom suite with walk-in closet, full bath and desk/office niche. Wilderness features an 18 hole arthur hills championship golf course, full-service clubhouse, har-tru tennis courts, bocce, croquet, five swimming pools and a dog park. Pet-friendly with no weight limit on dogs. One pet allowed. Golf club membership is mandatory. Current initiation is $65,000. No equity. C. 16068 - youll never want to leave this amazing lanai & view! Come see for yourself! This coach home offers stunning long lake & golf course views & a peaceful setting. Private elevator from your ground floor foyer, electric storm shutters, large master suite with sitting area, completely and beautifully remodeled master bath, a bath for each bedroom, kitchen with island, breakfast area, walk in pantry & golf view plus a 2 car garage. A wonderful spacious residence with maintenance free living! Cul de sac location in an intimate neighborhood within kensington. Community pool and clubhouse with full kitchen an easy stroll away. 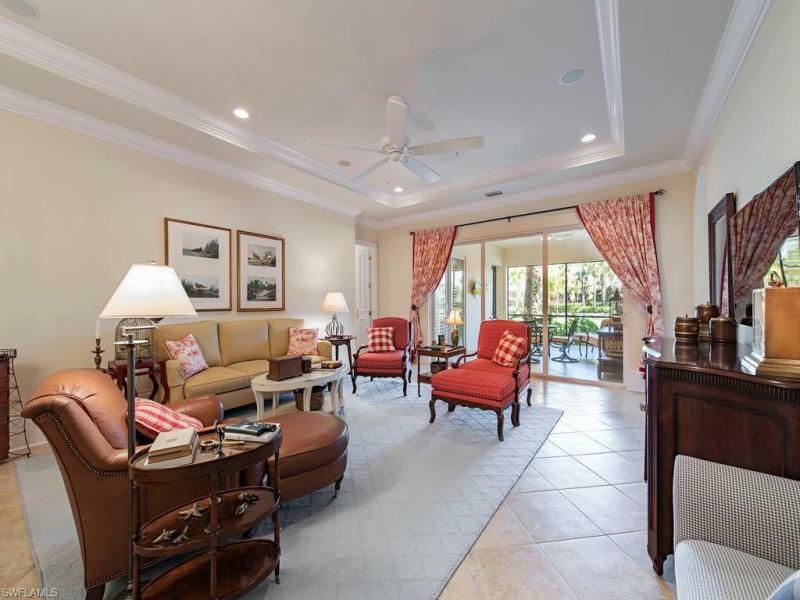 Kensington is a gated community offering some of southwest floridas best golf, tennis, pickleball, bocce, fitness, dining, an amazing social calendar & club lifestyle. Optional membership. Convenient location to beaches, restaurants, theater, downtown, waterside, mercato & more. Dont miss this great choice of lifestyle & being in the center of all naples has to offer. 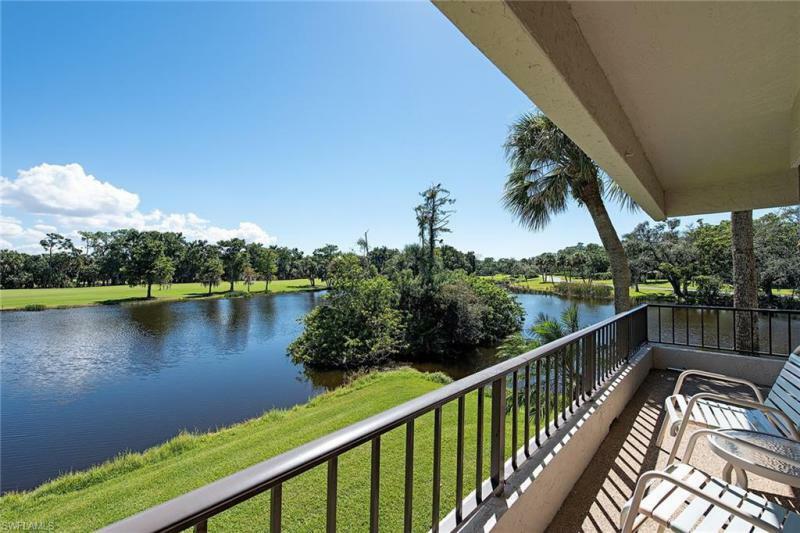 The word stunning cannot adequately describe this completely renovated, fully furnished 2 bedroom + den, 2 bath coach home that offers a breathtaking view of the pond and gorgeous sunsets. No detail has been overlooked in the complete top-to-bottom redesign and renovation of this incomparable residence. Features include a gourmet chefs kitchen with granite countertops, new stainless steel appliances, island with breakfast bar and large pantry. Bathrooms features all new designer fixtures; lighting in all areas of the home is state of the art and the floors are 24 porcelain tile in the living areas including the lanai and hardwood in the bedrooms. The decorator touches throughout make this coach home truly unique as well as extraordinary. 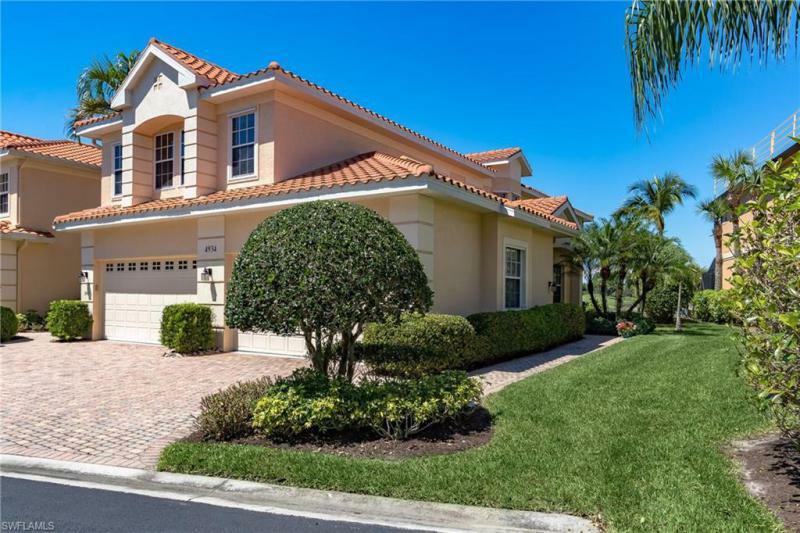 Located in the gated kensington golf & country club, which offers some of swfls best golf, tennis, fitness and country club living while being close to beaches, shopping and entertainment. Kensington country club offers a range of membership options, but membership is not mandatory.